That's fun to say. It's also dreamy to look at. 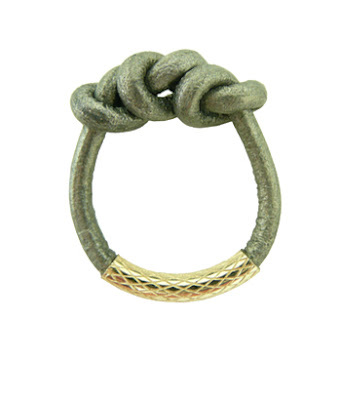 Look at this beautiful knotted leather ring, with gold filled detail. swoon. There are several colors, and it's only $16.50! site here.